Artificial intelligence (AI) may be the technology everyone is talking about, but not all businesses see it the same way. Some companies have taken tentative first steps with AI but don’t have an integrated plan. For others, AI represents a valuable tool that can be used to solve genuine business challenges, improve processes, and drive efficiencies. Then there are those companies that view AI as a transformational platform that has the potential to create a new species of business. 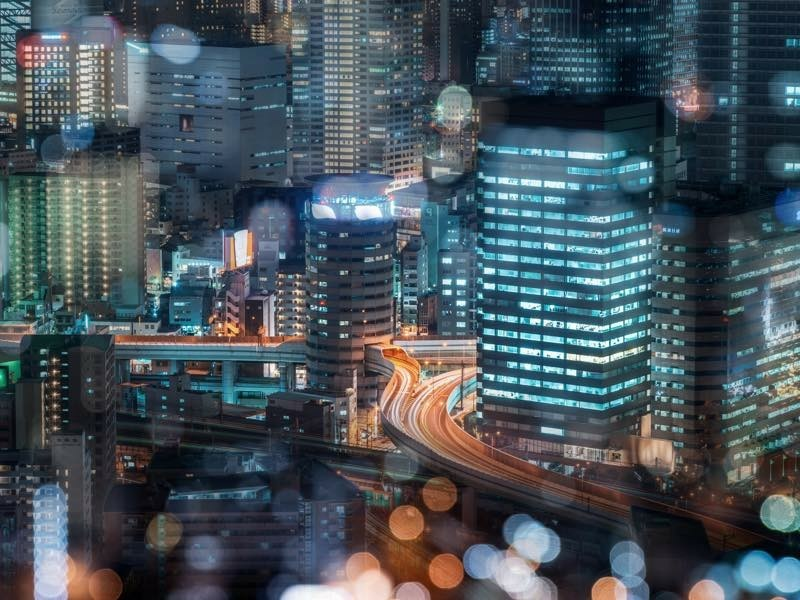 These future-minded companies are centering on the customer and using AI to connect people and processes and predict business outcomes, capitalizing on new revenue opportunities by applying new forms of intelligence. With research showing that half of the S&P 500 will be replaced over the next 10 years, organizations that view AI as merely a trend or a quick antidote to a business problem risk falling to the back of the pack or vanishing altogether. Meanwhile, businesses that are successfully building for the future realize that the actions they take today will permit their enterprises to sense and predict with accuracy so they can make better, faster decisions that transform the customer experience. Examples of innovative uses of AI are already beginning to be found across businesses, transforming the value they offer customers. When combined with other technologies, firms can move faster and become more connected to the customer than ever before. Imagine a connected home that can detect a basement leak, switch off the water, minimize and assess the damage, and immediately submit an insurance claim, all before the homeowner has returned from work. An insurer equipped with the right AI and data analytics to instantly manage the claim, investigation, and reimbursement process will have the ability to evolve its relationship with its customers from that of a transactional player to a trusted advisor that protects families and homes, not just provides policies. Similar scenarios are beginning to take shape across a range of industries, from health care to transportation. In the pharmaceutical industry, for example, connected ecosystems supported by data analytics and machine learning are fundamentally changing essential parts of the sector, such as pharmacovigilance. Instead of simply tracking and reacting to adverse drug events, pioneering companies are coupling AI with data analysis to detect patterns that predict issues, effectively improving and protecting patient health. The power of AI depends on the interplay between digital technologies such as machine learning and vast data pools all connected within a seamless ecosystem both internally and externally with partners. Of course, business innovation is only made possible through a workforce willing to embrace change. Such advances require future-focused leadership to manage that change and create fertile business environments with pragmatic methodologies, human ingenuity, advanced AI, and customer-centricity at their core. In this setting, people play a critical role in contextualizing information, providing goals, and working alongside intelligent machines to minimize data bias, and ensure that AI designs prioritize privacy and security. The value of these new capabilities will soon extend beyond common business practices as connected AI makes machines more sophisticated, ultimately unleashing new insights and opportunities for workers to develop more creative solutions. This, in turn, will empower people with more fluid, purpose-driven career paths and allow business leaders to retain a more skilled and satisfied workforce. This human transformation will impact not only the role of today’s workforce but also the role of leadership. Visionary leaders recognize that AI adoption represents more than a strategic choice. Empowering workforces represents an opportunity to break down organizational barriers that inhibit innovation; gain critical business agility; increase employee and customer satisfaction; and begin building the human and technological infrastructure of tomorrow. Forward-thinking firms are purposely using AI to connect their ecosystems, breaking down silos and embracing partnerships—even with competitors—for the benefit of customers. AI also enables companies to harness vast volumes of internal/external, structured/unstructured data and combine it with deep industry knowledge and context to spot patterns that create predictive insights. Insights that allow future-focused organizations to make decisions before others see what’s coming. A real-world example of this is the retail movement toward anticipatory shipping, where products can be proactively shipped to warehouses near customer locations in anticipation of their next order, creating a virtuous cycle of customer loyalty and consumer intelligence. By combining the power of human expertise with advanced AI, successful firms are also developing highly personalized solutions around individual customer preferences and identifying trends to predict products that will be relevant to customers. These organizations understand that the present is all about positioning for the future. They think like a hockey player who skates not to where the puck is currently, but to where it’s going to go. Every decision they make is rooted in their focus on the customer and uses transformational AI to bring humans and machines together, enabling businesses to act with instinct. Ultimately, that’s the key to an instinctive enterprise. Genpact brings digital solutions and intelligent operations to multinational organizations around the world. See how it delivers transformation that lasts at Genpact.com.